Check out my demo video of this gorgeous thing below! 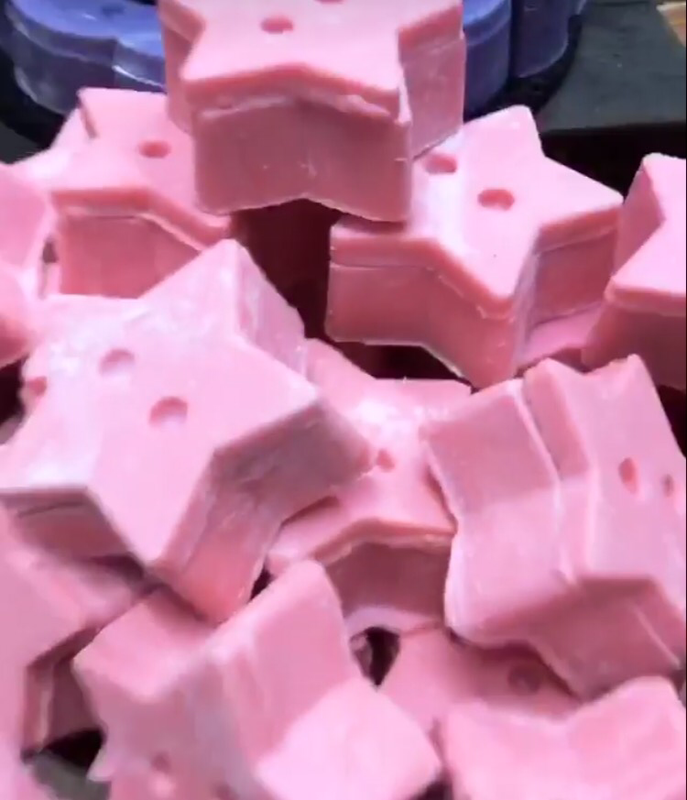 It’s a pink, snow fairy scented massage bar sort of mixture used as a container, about 3 inches around, with a lid, for some sparkly snow fairy scented dusting powder inside. Ready for an awfully big adventure? You don’t have to wing it; all you need is lustre, trust and a sprinkling of fairy dust. 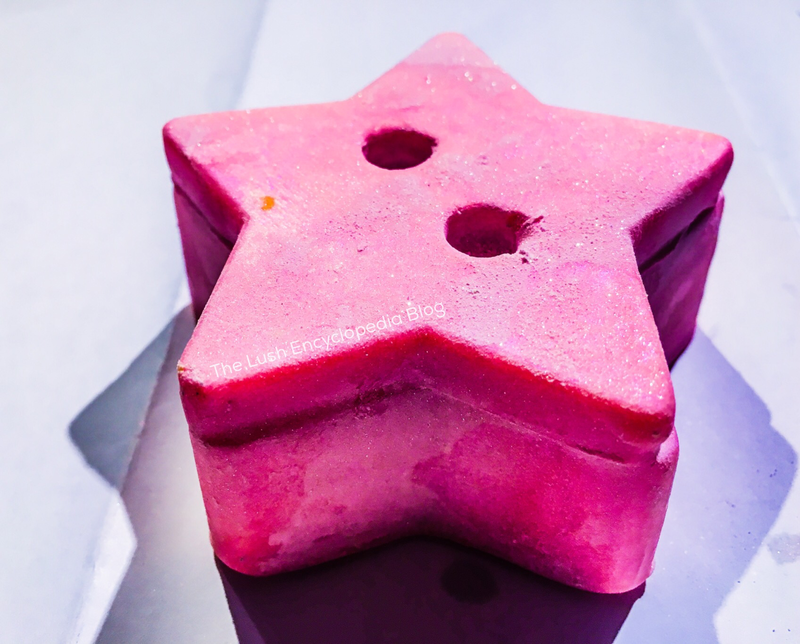 This sugar-sweet, supremely pink offering of cocoa butter, absorbent powders and sparkling lustres is the perfect finishing touch before you fly off. Glide the rich, cocoa butter bar all over for sweet smelling and silky skin. To release the fairy dust, press something pointed into the dimples. Sprinkle over skin to soften, keep you feeling fresh and add magical sparkle that turns heads in the light. 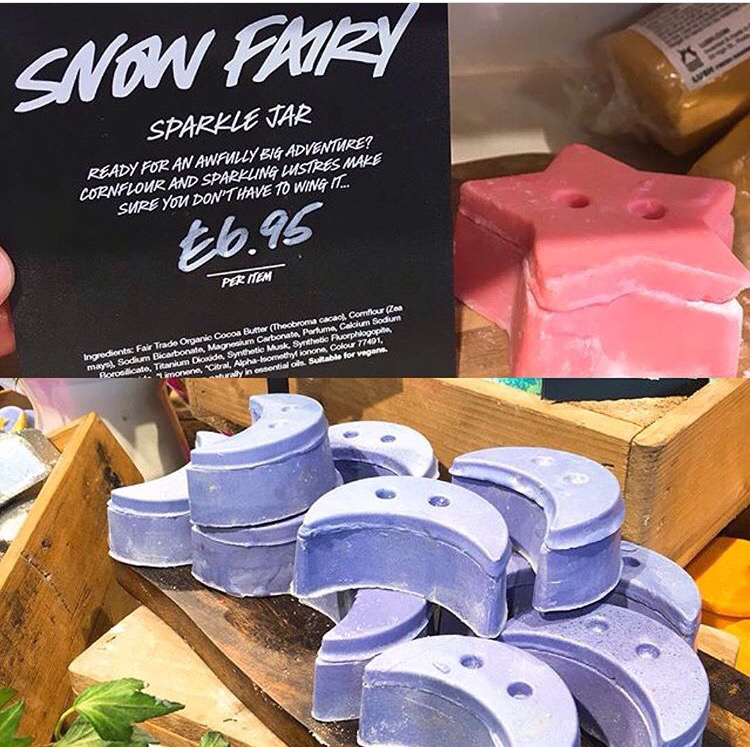 Posted on September 4, 2017 by Lushalot	• This entry was posted in Christmas 2017 and tagged creative showcase 2017, lush christmas 2017, snow fairy sparkle jar. Bookmark the permalink.